Update: Secretary DeVos’ 2018 (annual) financial disclosure report was certified by the Office of Government Ethics on December 3, 2018. Secretary of Education Betsy DeVos’ Annual 2018 financial disclosure report, obtained by CREW last week, has not been certified by the Office of Government Ethics more than six months after it was filed and fails to document how or when she divested from twenty-four assets included in her ethics agreement. Periodic transaction reports (PTRs)—which disclose purchases, sales, or exchanges over $1,000 made by the filer, their spouse, or dependent child—also show that the Secretary increased her controversial interest in Neurocore in 2017. This activity all points to lingering concerns about Secretary DeVos’ vast financial interests and highlights a weakness in financial disclosure laws that makes it difficult to assess whether officials are living up to their ethical requirements. The issues with Secretary DeVos’ financial disclosure report begin on its first page. Signalling that there may yet be problems with it, the Office of Government Ethics (OGE) has still not certified the report more than six months after it was filed and after it was amended twelve times in a two-month span. While we do not know what has prevented OGE from certifying the report, it is clear that there are problems with it beyond its lack of certification. Though not required by her ethics agreement, Secretary DeVos failed to sell her controversial interest in Neurocore, a company that works with children and adults on brain diagnostics and treatment that CREW has previously discussed in a 2017 report. In fact, Secretary DeVos increased her interest in the company in 2017. PTRs show that Secretary DeVos made three purchases of Neurocore stock in 2017: one for between $1,000,001-$5,000,000 on 4/07/2017, another for between $250,001-$500,000 on 6/13/2017, and the third for between $1,000,001-$5,000,000 on 7/06/2017. Her financial disclosure report shows that she holds between $5,000,001 and $25,000,000 of stock in the company. According to a New York Times article, an advertising-industry review board found in June 2018 that some of Neurocore’s claims “were based on mixed research and unscientific internal studies.” As a result, Neurocore agreed that it would no longer advertise success rates associated with its programs. Secretary DeVos did not file PTRs, however, documenting the sale of twenty-four assets from which she was required to divest according to Attachment A of her ethics agreement. The lines where the assets were listed on her Nominee financial disclosure report were “intentionally left blank” on her latest report, suggesting that the Secretary divested from the assets or that they are no longer reportable. The report, however, does not clarify how Secretary DeVos divested from those assets, and if she did so in the period required by her ethics agreement. It is possible that Secretary DeVos transferred the assets to a charity or adult family members—actions that are not required to be publicly disclosed. There is no evidence, however, that she did so. Secretary DeVos is not the only high-profile cabinet member to avoid disclosing how, if at all, they may have divested from assets that pose conflicts. In a complaint, CREW noted that Secretary of Commerce Wilbur Ross also failed to file PTRs for approximately forty-one assets listed in his ethics agreement. In order to ensure full transparency, financial disclosure laws should be amended to require that gifts and their recipients are reported on PTRs. 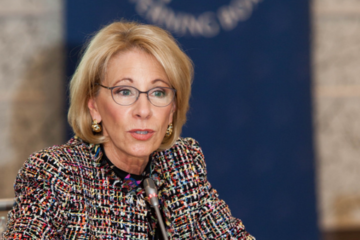 Doing so would shed light on whether Secretaries DeVos and Ross divested from their assets or if they might have improperly held onto assets from which they committed to divest. 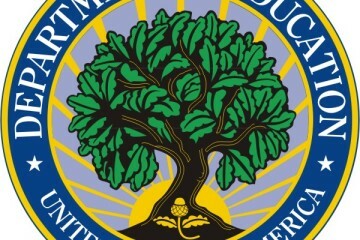 Still facing an Inspector General investigation, Robert Shireman is now facing questions about the terms of a deal he made with the Department of Education. A bureaucrat embroiled in Wall Street’s efforts to influence education policy has made a return to DC.